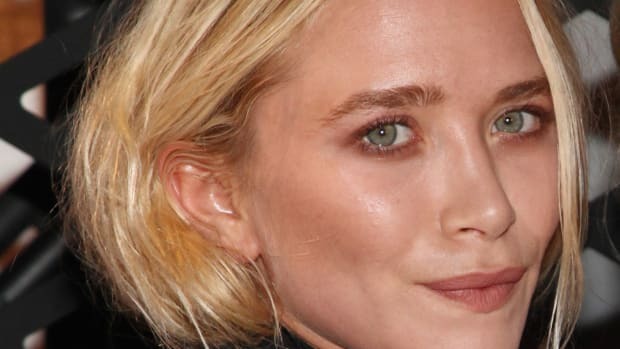 This image of 25-year-old Mary-Kate Olsen, strolling with her rumored 42-year-old boyfriend Olivier Sarkozy, and his tween daughter, has been making the rounds on the internet. And it&apos;s not hard to see why. Reactions range from disbelief--Suri&apos;s Burn Book writes "I’m still trying to convince myself that this is...Photoshopped"--to acceptance--Styleite writes, "everyone needs to chill out." But whatever the reaction, you have to admit: Mary-Kate and Olivier elicit some pretty strong emotions. And as everybody knows strong emotions--whether they&apos;re good or bad--are the true makings of a power couple. (Ahem, Looking at you Kanye and Kim). Besides, MK and Olivier are pretty powerful on their own: She, along with her sister, recently won a CFDA award for best womenswear designer, and is one half of a billion dollar empire. Olivier, on the other hand, is half-brother to the former President of France, and a successful banker. So, what do you think? Are Mary-Kate and Olivier fashion&apos;s next big power couple? If so, how do you feel about them? More importantly, if they&apos;re going to be fashion&apos;s new power couple, what should be their name? Nora likes SarkOlsen, while Twitter follower @a_hirsch_ suggested OlsKozy, and @GavinFong said, "Marykozy for sure." The most popular moniker so far, though, is Markozy. Which one is your favorite?